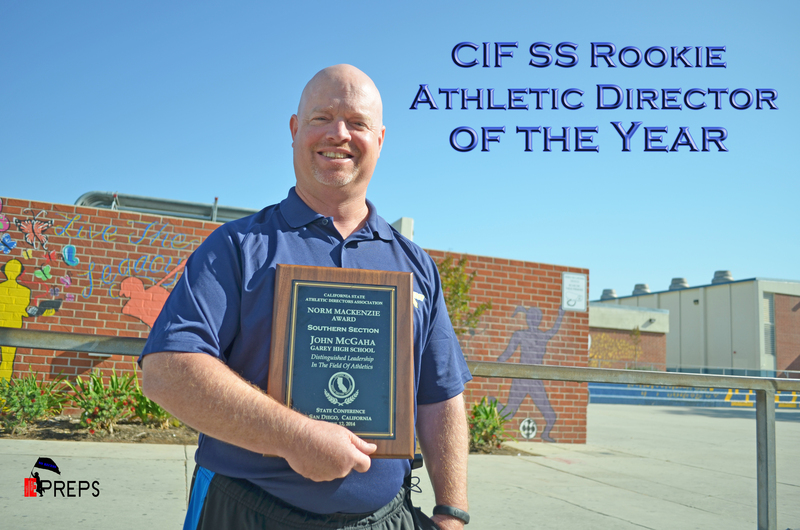 John McGaha, Athletic Director at Garey High School in Pomona, was recently honored by the C.I.F. Southern Section. McGaha, a long time coach and teacher in Pomona Unified School District, has now taken on the job as an Athletic Director and his impact has quickly been recognized. His efforts in raising the bar of athletic and academic excellence at Garey High School has been tremendous in his two years as AD.